Blueberries are sweet and small fruits, mainly purple or blue in color. The first thing to know is that blueberries are very healthy. 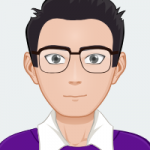 Nowadays, people use them widely, fully aware of their benefits. 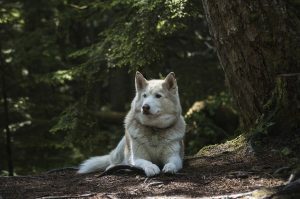 Blueberries are also used as treats for animals, pets particularly, or as one of the ingredients in their canned food. Are blueberries healthy for cats to eat? Can cats eat blueberries? 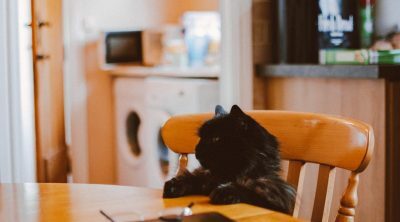 In this article, we will go through various questions about cats eating blueberries and if these fruits are safe for them or not. Are Blueberries Good for Cats to Eat? Blueberries are perennial flowering plants coming from North America. They belong to the Ericaceae family. Their shrubs vary in sizes from 10 centimeters all the way up to 4 meters. Blueberries are dark purple and covered with a protective coating known as bloom. In their mature stage, blueberries have a sweet taste which is a main reason why we, humans, love them. They are wealthy of carbohydrates, protein, water, as well as vitamins. 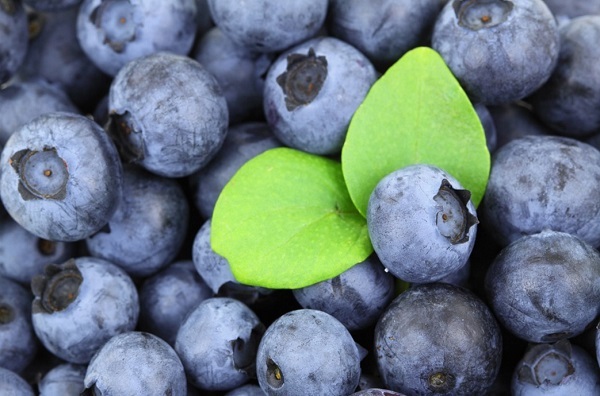 With very low carbic value, blueberries are listed among the healthiest fruits in America. They are widely used for all kinds of jams, juices, pies, muffins, sauces, and purees. With blueberries so widely available and easy to acquire, blueberries are often added to a great many diets. The benefits of the blueberry are so high, as well as the factor of hydration. Any fruit that contains water will help keep your body hydrated, but blueberries have such a good water content, that adding these fruits to a diet will keep you not only nutritionally in balance, but also balance your hydration as well. As we mentioned earlier, blueberries are very healthy and there are numerous ways we can use them. But, is it safe to offer these fruits to cats? It is indeed pretty strange to give your cat blueberries, but the answer is yes, cats can eat blueberries. However, cats do not really need to eat them. Since cats do not need to eat blueberries for survival, offering this berry to your cat is simply out of pleasure, as a treat, and on occasion only. Although the blueberry is safe for a cat and far from toxic or poisonous, there is a possibility that your cat may not want to eat them. Why? Cats are carnivores, so it is not in their nature to eat fruit. Additionally, cats are not just picky about what they eat; they may be unable of digesting some types of foods. The digestive system of a cat differs from that of a human, and of other animals such as a dog or a horse. The unique system of a cat is made for digestion of meat sources, as well as the occasional outdoor animal such as a mouse, or even bugs. Cats are hunters and have evolved to eat meat; however some cats are drawn to fruit sources and have developed a taste for items that are sweet. Even though your cat may prefer his/her cat food or fish, do not not be surprised if your cat enjoys eating sweet blueberries. Some cats like to have a variety of tastes and textures throughout the day. Cats are curious beings, as well as playful, and may find the small berry fun to bat around and ‘hunt’ a bit before eating. The good news is that the blueberry can provide enjoyment for cat as well as nutrition and hydration. Use the berry wisely, as a treat, not as a source of a nutrition and substance. Blueberries are a natural source of vitamins, especially vitamin C. It is widely known that vitamin C can only help cats who are suffering from heart disease, asthma or cancer. Vitamin C also has properties that boost the immune system of your cat and keep him/her healthier, longer. 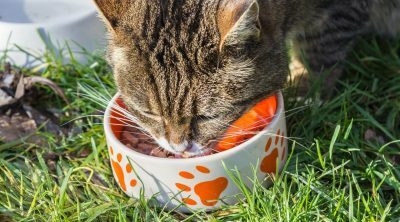 Most cats eat their required amount of vitamin C through daily cat food, but there are some cats that may benefit the added vitamin count. They are low in fats and calories. This is very important, especially to cats because their natural diet should be without high fats or calories. Cats can gain weight, suffer obesity, and develop high cholesterol and diabetes just as their owners can. Cat owners need to take care of the diet of their cat just as they take care of their own diet. 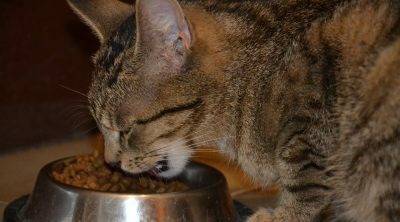 Cats cannot determine their own health as well as their owner can, so feeding your cat healthy, low calorie food is the responsible thing to do. Cats must have a low calorie diet, and plenty of water in order to survive and live healthfully. Blueberries have plenty of antioxidants. Antioxidants are the most sustainable preservatives in the world. They are an excellent source of fiber. Food that contains fiber lowers the risk of diabetes and heart disease. 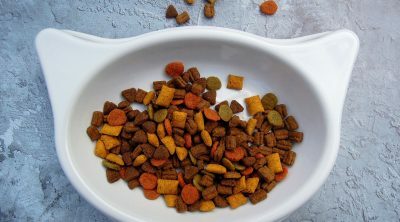 The added fiber may also help your cat feel full and deter any potential snacking or meowing for extra food. Blueberries are a good weight loss tool when utilized as a healthy treat in exchange for unhealthy treats. Replacing your cats, packaged high fat snacks with healthy fruit treats will be one of the most beneficial things for your feline. In return, your cat’s health and immune system will be stronger, her weight steadier, and aging will not be as severe. Over time, blueberries have gotten a lot of attention and many food companies have added them to their ingredient list. Blueberry extract can be found in lots of cat products. The reason blueberries are found in cat food is because they are the only fruit that contains a lot of antioxidants, and therefore can slow down oxidation. 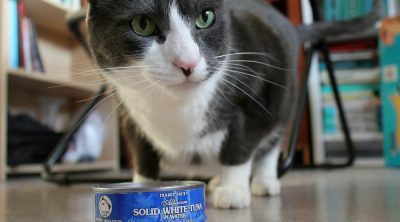 Thanks to blueberries, a canned cat food can be preserved for a long time. You can serve thoroughly washed and cleaned blueberries to your feline buddy in moderation. Blueberries should only be given as occasional treats and not as an everyday staple food. A couple of blueberries every other day would be enough for your cat. There are only a few side effects blueberries can cause, but it is very rare. It’s not recommended to offer your cat blueberries too often. The side effect might be an upset stomach or loose stool. Cats that have urinary calcium oxalate stones should not consume blueberries, either. Additionally, cats, just like humans, can be allergic to blueberries. 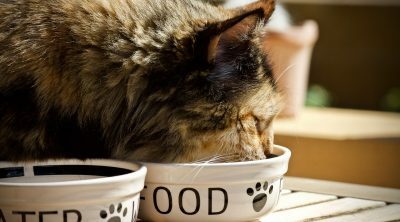 It’s recommended to observe your cat for any issues that can arise in response to her diet change. If your cat begins to show behavioral or digestive problems, stop feeding her blueberries and consult with a vet if the issue does not go away. Other fruits that your cat can enjoy occasionally include strawberries, apples, cantaloupe, bananas and watermelon (seedless). However, avoid any grapes, raisins and any other fruits with pits. Next to a large amount of benefits and only a few side effects, you can give your pet blueberries occasionally. However, do not offer your cat blueberries too often. Remember, moderation is key.